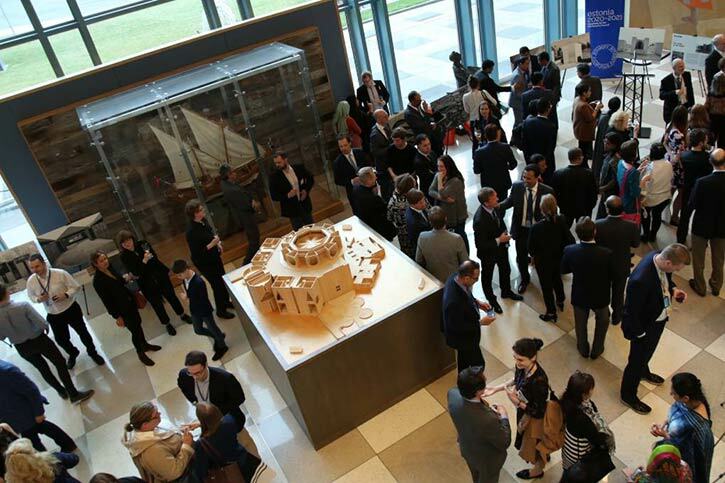 The National Assembly Building Model has caught the attention of the United Nations Headquarters In the United Nations Headquarters, the exhibition of the architect Louis I. Kahn has captured the attention of the international community in the exhibition of Bangladesh Jatiya Sangsad Bhaban. A picture exhibition titled "From the island to the island - creative walks of Louis Eye Cannes" was organized jointly by the Permanent Mission of the United Nations and the Permanent Mission of Estonia on Monday, local time in New York. In a statement issued by the Bangladesh Permanent Mission of the United Nations, it was said that at the center of the exhibition was the creation of immortalization of Louis I Kaan, a model of Bangladesh Jatiya Sangsad Bhaban, which is being watched by the international community. Architect and photographer Ernst Mascick, in this exhibition, illustrates images of famous architectural architecture in the world of Louisiana, American architect Louis I. Kane, along with a picture of Bangladesh Jatiya Sangsad Bhaban. Estonian President Kirsty Klezullaed, State Minister for Youth and Sports Zahid Hasan Russell, President of United Nations General Assembly Maria Fernandes Espinosa Garsez and Nathaniel Kahn, the son of Louis I Kan. In the inaugural address, the State Minister for Youth and Sports said, "We are remembering one of the finest architects of the twentieth century, Louis I Can and other foundations including his immortal creation, Bangladesh Jatiya Sangsad Bhaban. It is astonishing to think, how Estonel was born and an architect who grew up in the US went to such a distant country as an unmarked signature. Certainly this was a heart-shaped move. This must be an indestructible memoir of North-South friendship. This architecture has created a strong bond between friendship and friendship between Bangladesh and Estonia. " The State Minister presented various information of the Jatiya Sangsad Bhaban, said, "It is the largest parliament building in the world and an architectural wonder that has been used indigenous materials, whose design has been highlighted in the Bengali architecture, where the image of river maternal Bangladesh is shown through artificial lake. Referring to the famous architectural critic Mark Carter's citation, the State said, "This building is one of the finest architectural sculptures of the twentieth century. It is a unique feature of the composition of civilization and architecture of the era, but the roots of this design are deeply rooted in the people of Bangladesh and Bangladesh. Recalling the Father of the Nation Bangabandhu Sheikh Mujibur Rahman and the great Liberation War, the great architect of independence, the State Minister said, 'This building has become a symbol of independence of Bangladesh, democracy of Bangladesh, as it thought, Louis I Can. This is not only the parliament building, but it is a symbol of pride, dignity and pride of the people of Bangladesh. " Estonia's president Karsty Klejwald said that the parliament building of Bangladesh is one of the best establishments of Louis I. Kahn, the sculptures created in the ear are the symbol of fair, independence and dignity, for which the United Nations is working. Bangladesh's permanent representative to the United Nations, Ambassador Masud Bin Momen, Estonia's permanent representative, Sivan Jurgensen and ambassadors of different countries, diplomats and UN officials attended the ceremony.